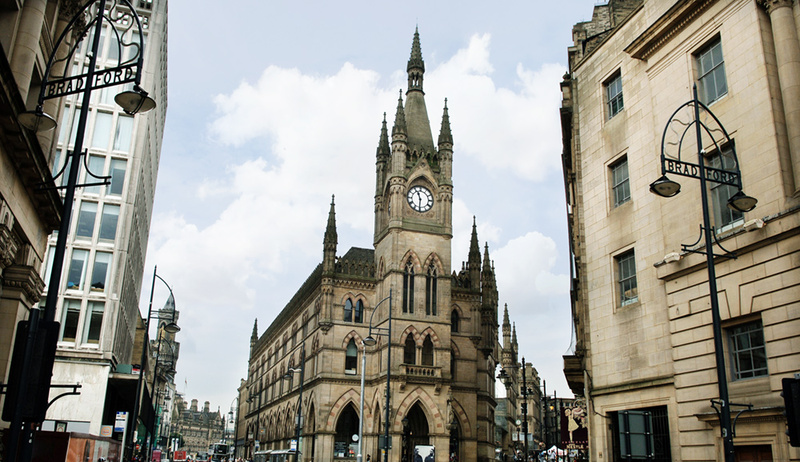 It was said, that on any morning of the week, every European language could be heard on the floor of Bradford’s Wool Exchange, such was the importance of the city as the centre of the world trade in textiles in the early 20th century. 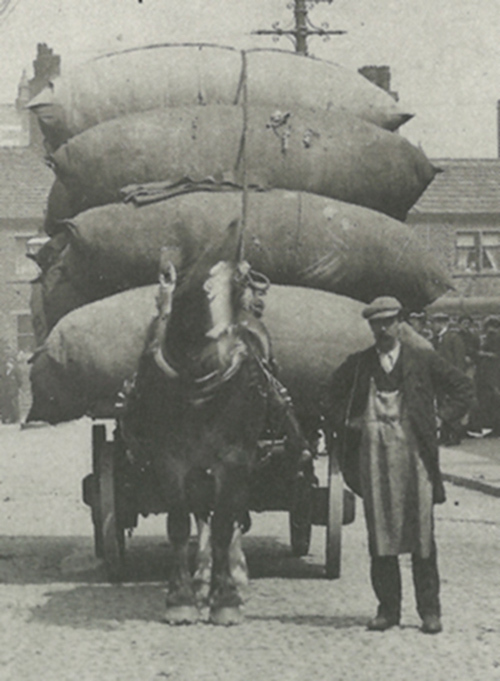 Bradford had an international population of merchants and traders, many of whom had made Bradford their permanent home. The grandeur of the merchant’s offices, warehouses and residences in Little Germany and across the city tell their own stories of affluence, success and the range of nationalities represented. 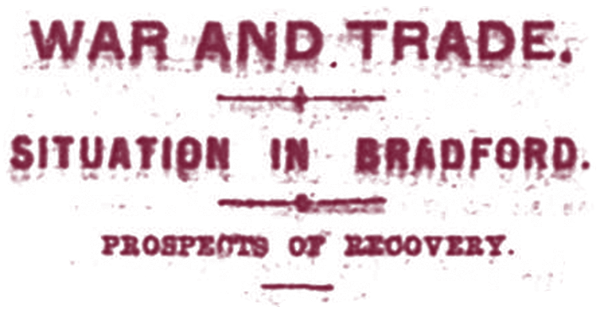 A European war presented challenging dilemmas for many families and businesses. 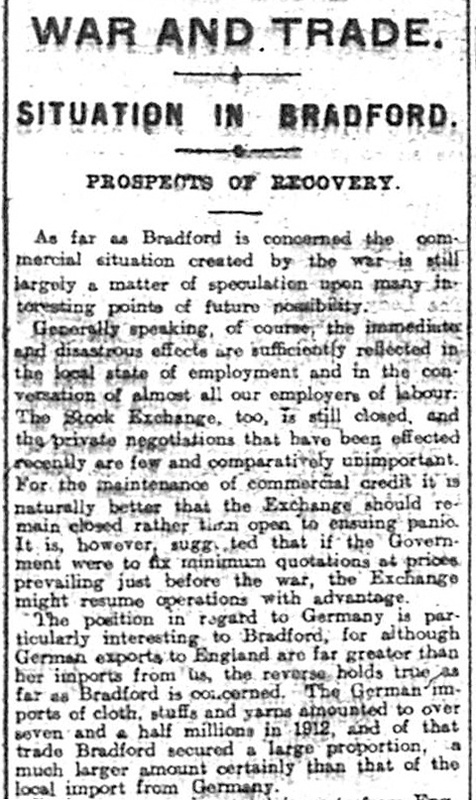 “All trade with Germany is at an end,” declared the Bradford Daily Telegraph but hoped the city would pick up new business from foreign lands which no longer traded with Germany. Army contracts were also won and helped delay the decline in the worsted cloth trade. There were many Bradfordians taking holidays abroad in August 1914 and letters appeared in the press describing adventurous return journeys and varied accounts of the German invasion of Belgium. 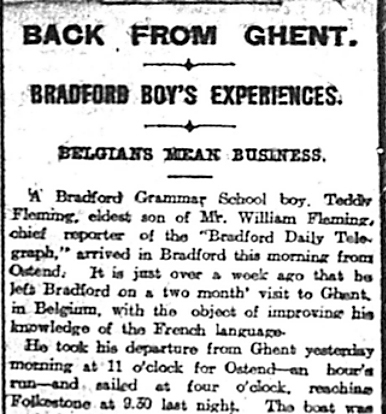 14-year-old Teddy Fleming managed to make his own way home from Ghent where he had been improving his language skills. He was to serve in the Artillery in Salonika in 1918. 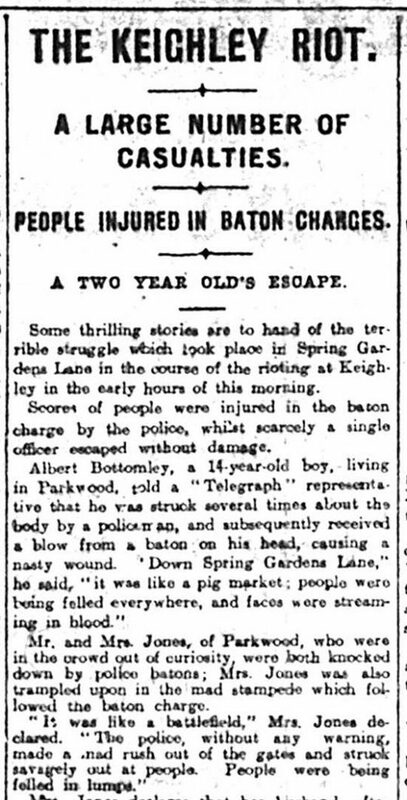 Over 100 arrests were made and the ring leaders, “D’Arcy and his army”, were jailed. Many were workers from the foundry of Prince Smith and the breaking of shop windows became confused with their labour dispute. The Bradford Daily Telegraph reported, “much sympathy for the Schulz family. Mr Schulz was born in England and married an English lady. 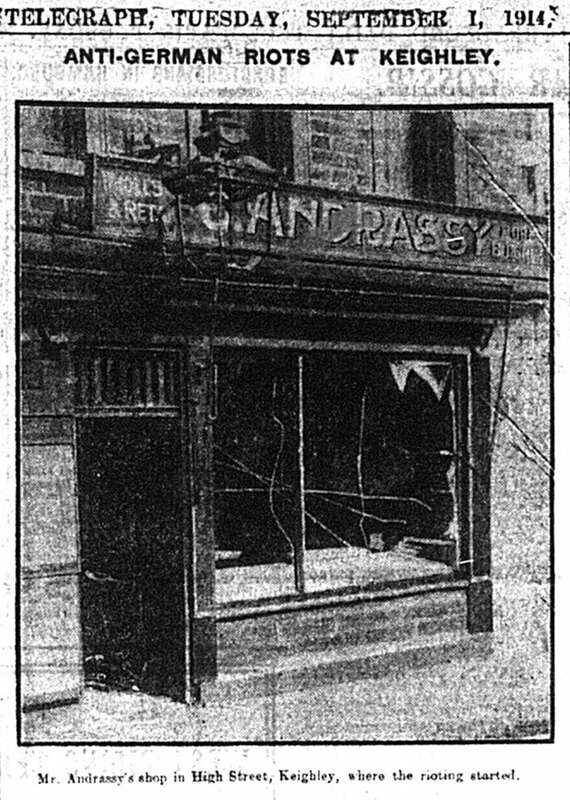 He cannot speak even a word of German.” This was typical of most of the victims, many of whom, like Charles Hoffmann and the Andrassy family, had become naturalised British citizens many years previously.